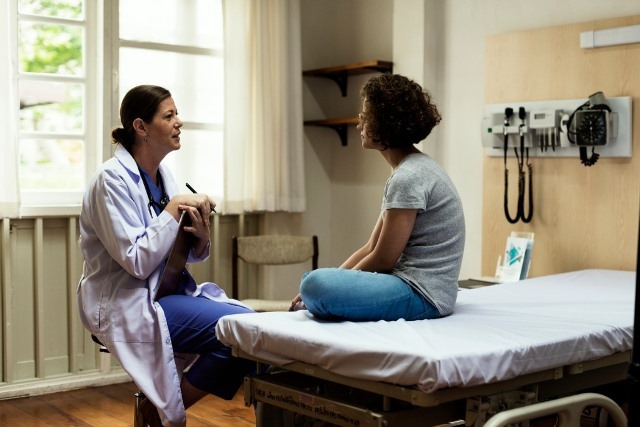 Anyone taking care of an adolescent has to talk to about sexual health,” says Dr. Giosi Di Meglio, an adolescent medicine specialist at the Montreal Children’s Hospital, “it’s a matter of public health”. She is the lead author of a position statement recently published by the Canadian Paediatric Society, stating that IUDs (Intrauterine Devices) should be offered to young women as a first line birth control option. “The personal, health care and social costs of a single unintended pregnancy are substantial,” says Dr. Di Meglio, “so those who provide healthcare to youth, should present the most effective birth control options first .” The birth control pill is effective only when taken perfectly, which does not always happen in real life. Hormone pills and condoms are 91 and 82 per cent effective, respectively, but also only when used properly, while IUDs are more than 99 per cent effective. There are myths surrounding birth control and adolescent women, “Parents often ask if putting their daughter on birth control will encourage them to be promiscuous, or if it will lead to poor bone growth, breast cancer or blood clots. Which is why it is worth having the conversation with your teens and a health care professional,” says Dr. Di Meglio. inform all youth about emergency contraception as a back-up method of preventing pregnancy. For the full position statement click here.